A huge life size teddy who can be a special friend to your loved ones in India. The Teddy has a knot round its neck which enhances its grandeur. Height : 24 inches ( 2 feet approx). 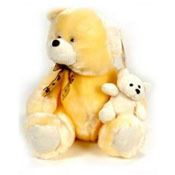 This cute pair of mama teddy with a baby teddy will surely bring a big smile on the recipient's face. 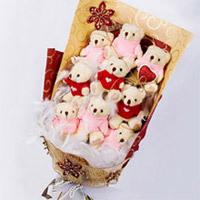 Thus, send these adorable teddies to your dear ones in India. 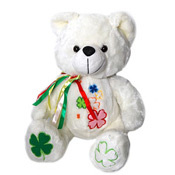 This sweet cream colored soft teddy will be an ideal gift for your dear ones on any occasion. it will definitely melt your loved ones heart. 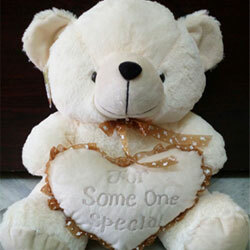 So, make your dear one who lives in India feel cherished by sending him/her this teddy bear. 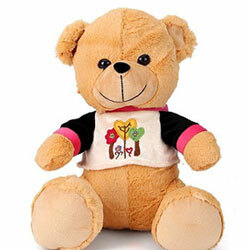 Surprise your loved ones in India by gifting them this adorable teddy bears. 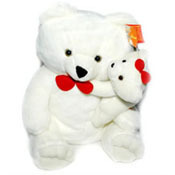 The two teddies joined together with their cute expression will surely bring a big smile on your dear one's face. Height : 14 Inches. . 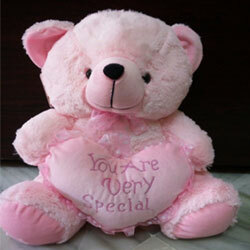 This teddy will make your dear one love you all the more. Distances play a crucial role in every relationship. Note : The colour of the teddy might vary according to the availability. . This is a white color beautiful teddy bear. Multi-colored colored flowers are embroidered on its body to give it a charming colorful look. Tri- colored ribbons of green, red and white are tied on its neck. 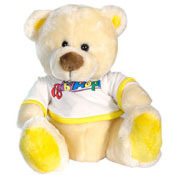 You can gift this awesome teddy bear to your loved ones. 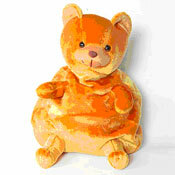 Entice your dear ones in India by gifting this lovely Orange Bear Bag on any occasion . Size : Height 40 cm . 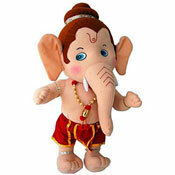 Lord God Bal Ganesha plush teddy bear . 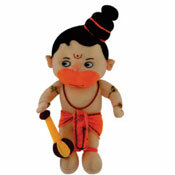 Soft Toy- Lord Hanuman teddy bear, height : 30cms approx. 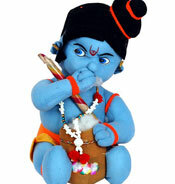 Soft Toy- Lord Bal Krishna teddy bear, height : 30cms approx. 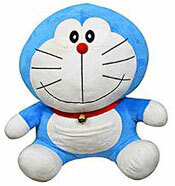 Soft Toy- Doremon Teddy bear, height : 8" approx. You like her a lot and you want to make it big, go for our sure short product - Teddies around her. It is sure to brighten her day like never before. "Includes 8-10 assorted Teddies". Room Full Of Soft Toys. The classic symbol of happiness for years, selected for your loved ones. 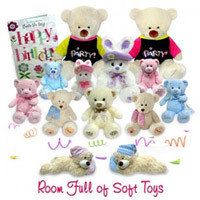 This combo includes assorted soft toys along with a greeting card. So pamper your loved ones by gifting this Collection. 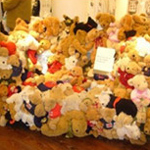 Room Full Of Love Teddies. The classic symbol of happiness for years, selected for your loved ones. 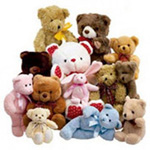 This combo includes 9 Large and Small Teddies along with a LOVE greeting card. 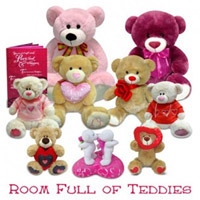 So pamper your loved ones by gifting this ROOM FULL OF LOVE TEDDIES.(A101). 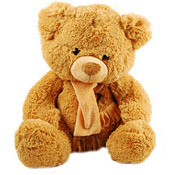 teddy bear colour might be different as per availability (cream, white, brown and pink). 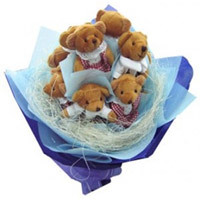 Bouquet of 9 Teddies (5 inches each) . Made from top quality material. 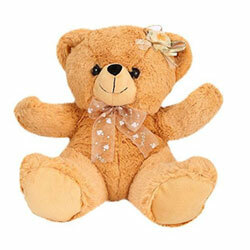 Easy to carry and cuddle, this cutie Angel Teddy Bear 20cms. pink teddy Cuddly teddy bear with ribbon around its neck Height: 14 inch . Teddy Bear With Dinosaur Print T-Shirt Pink - 20 cms. 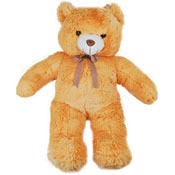 Funzoo Teddy Bear Soft Toy Brown - 20cms . actual image my little very vary in terms of design..